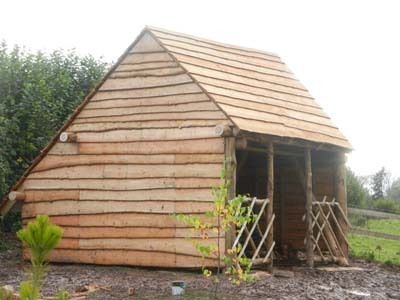 I spent a week in Sussex with Ben Law learning the techniques for jointing and helping to construct a round wood timber framed building. 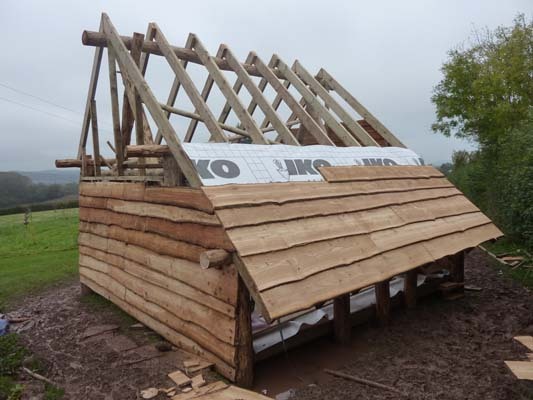 We have recently completed this round wood timber framed building at Pontrilas in Herefordshire, which will be used for timber processing and storage. 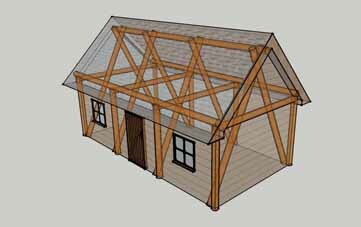 We supplied a set of plans and drawings which were submitted as part of the planning permission application. We now have the ability to supply 3d images of potential projects, in addition to technical drawings suitable for submission with a planning application. We can also supply a engineering report detailing calculations of loadings etc. 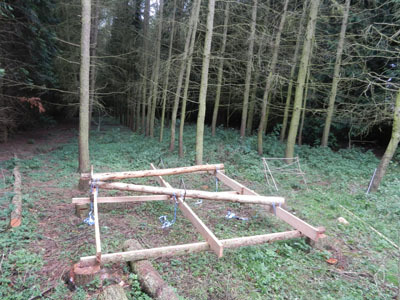 We felled a small area of Larch in a local woods, which we then peeled ready for use in the A frames. 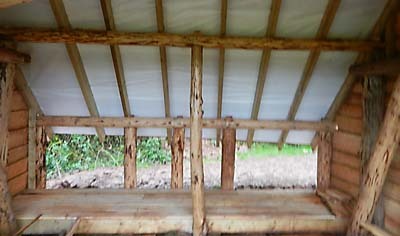 We then constructed a framing bed on which to construct the A-frames. Each component was strapped and attached to the framing bed with timber dogs. 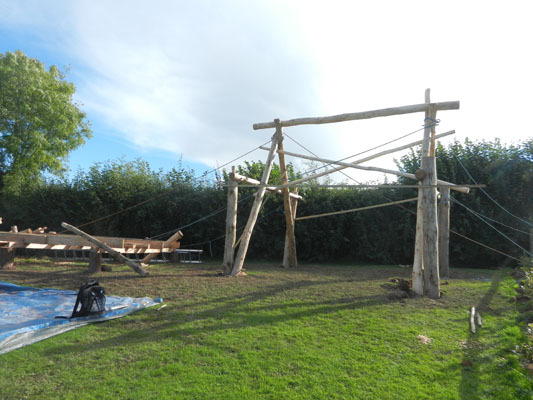 Once completed the A-frames and framing bed were taken to the construction site and reassembled. 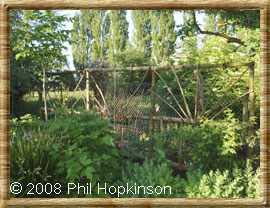 Once erected the frames were drilled and pinned with seasoned Oak pegs. 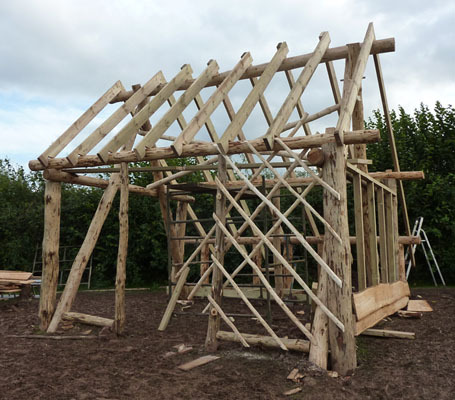 The main structure is peeled Larch. 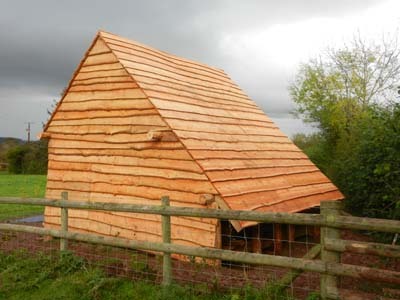 The joints are pegged with Oak It is clad with Larch and Western red Cedar and incorporates a Corsican Pine floor. All sourced from local woodlands we manage. 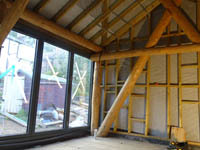 This is a truly sustainable building. 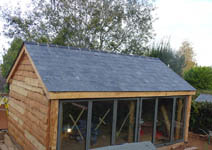 If you would like to discuss a project in more detail or obtain a quotation please Contact us.